As a trial, until the end of November we are reducing prices for GBP transactions below £100. 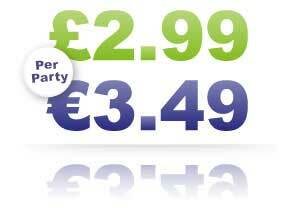 The new price per party for these transaction is 19 pence plus 1.9% of the transaction amount, instead of £2.99. So for a transaction of £40, the price per party will be only 95 pence. We hope that this reduction can be extended, and will let you know how the trial has progressed. Please note that all other charges apply as normal, so if you require an extra payment out or if there is an extra payment in (say you make a payment with an incorrect payment reference of from a bank account other than your registered bank account) then the normal £2.95 extra-payment fee will apply, even though this can be much larger than your initial fee. Rest assured that in the great majority of such transactions, no additional charge are incurred, but be aware that the possibility exists. Please also note that the minimum transaction amount this special offer applies to is £20. Any transaction below £20 will be charged as if it were £20. This special offer only applies to transactions made in GBP - transactions in other currencies do not currently receive this special offer. This special offer only applies when the two parties decide to split the initial cost of the transaction equally between them - otherwise our normal pricing applies. This special offer only applies to standard transactions, and not to transactions created by a third party. As this is a trial, we reserve the right to withdraw the special offer from new transactions at any time.